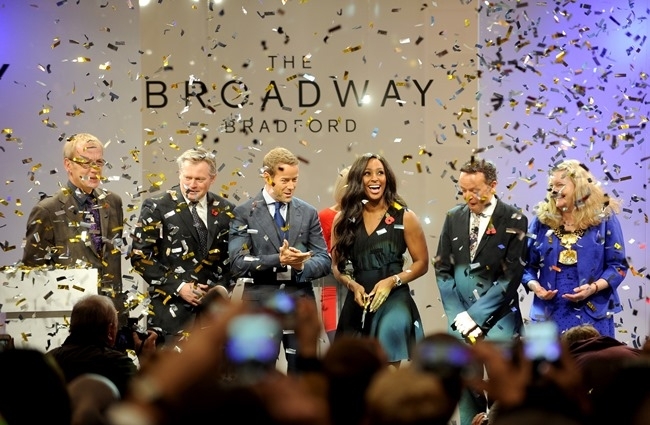 The Broadway, the largest retail development to launch in the UK this year, has opened its doors in Bradford. Singer and X Factor star Alexandra Burke officially opened the centre with a ribbon cutting at the Petergate Mall entrance. She was joined by local community heroes, who cut ribbons at the additional entrances, and other members of the community including the Lord Mayor, leader of the Council, Coun David Green. More than 300 people were given exclusive access to the centre two hours before opening for a VIP viewing and performance by Alexandra Burke. Myf Ryan, Westfield director of Marketing, said: “The opening of The Broadway marks a fantastic day for the people Bradford. We’ve enjoyed getting to know the Bradford community over the last few months and working with them to showcase the soul that already exists in Bradford through our #NewCitySoul campaign. Bradford Council Leader, Coun David Green, said: “We were really looking forward to the grand opening of the Broadway shopping centre. The launch looked amazing and really brought in the crowds. The £260 million development has created 2,500 new retail jobs and is the largest retail centre in the country to open in 2015. The Broadway features leading department and fashion stores, including anchors Marks & Spencer and Debenhams, and high street fashion favourites H&M, Next, Topshop, Topman, New Look, schuh and River Island. Together with the retail boost, The Broadway includes a seven-unit food court and a range of nationally recognised restaurants – including Patisserie Valerie, Taco Bell and Wrap Chic.